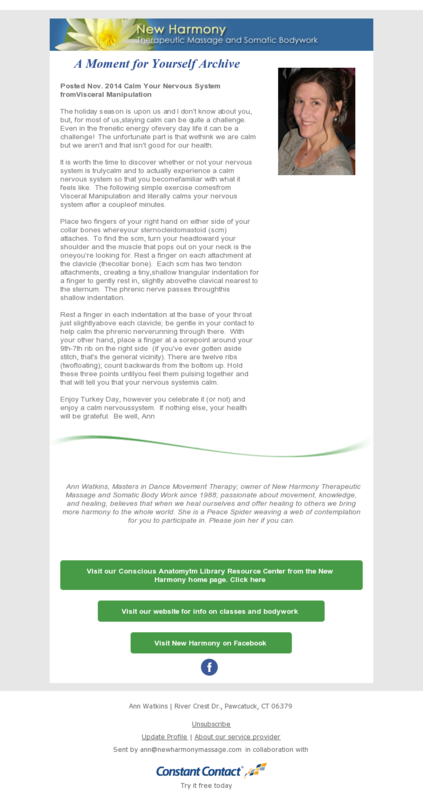 To login to Conscious Anatomy™ site click here. Then, click on new:register here to create your own username and password. You'll receive updates on classes, events and our creative health tips. 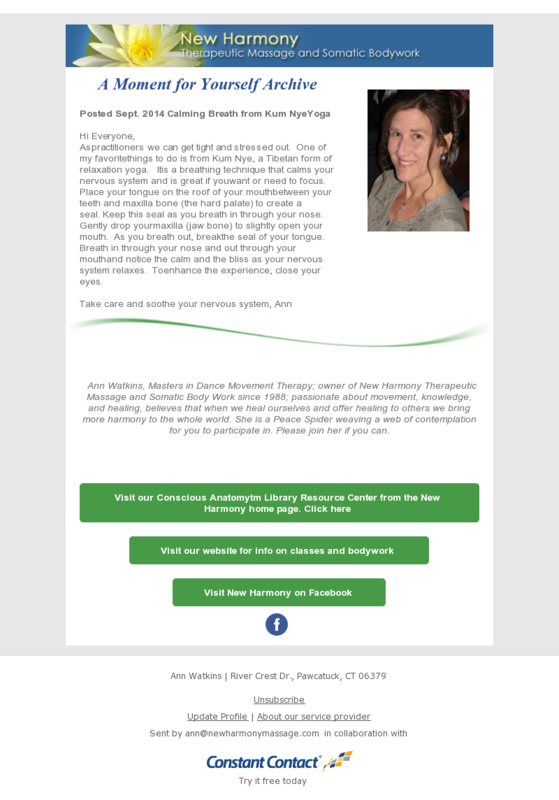 We have various FREE sample classes in Conscious Anatomy™ and meditations in our on-line library available to you for a smidge of your contact information. 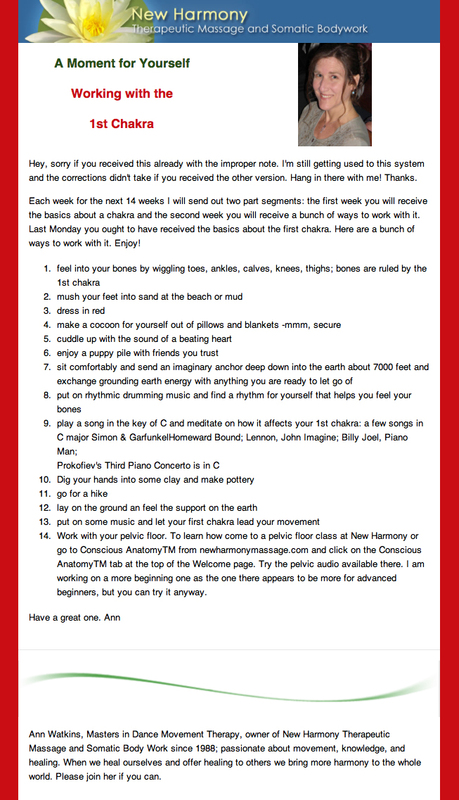 Boosting Your Creativity and Your Calm (ten minute audio meditation by Ann Watkins) sample classes and other resources are available at the Conscious Anatomy™site for your audio and participatory pleasure. We're collecting testimonials and they'll be posted on the website.